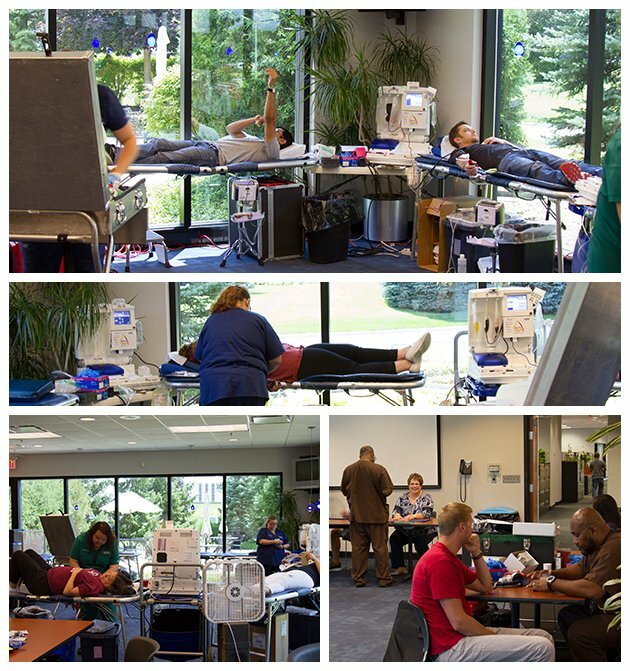 The 5th annual Metalmaster Roofmaster Blood Drive held at the Corporate Office on Friday, July 28 donated a company record of 29 units of blood thanks to 23 participants! The 29 units of blood donated could save 87 lives! We would like to thank Heartland Blood Center and all of the participants in this year’s blood drive for making this possible. Heartland Blood Centers services over 75 hospitals in the Chicagoland area, including all the area Veteran Affairs Hospitals. 68% of all blood donations received are from a Heartland donor and our efforts help to keep blood donations local! To find a Heartland Blood Center location near you, go to http://www.heartlandbc.org/blood-center-locations/ and schedule an appointment to help save lives! This entry was written by connor, posted on July 31, 2017 at 4:37 pm, filed under Awards. Bookmark the permalink. Follow any comments here with the RSS feed for this post. Comments are closed, but you can leave a trackback: Trackback URL.